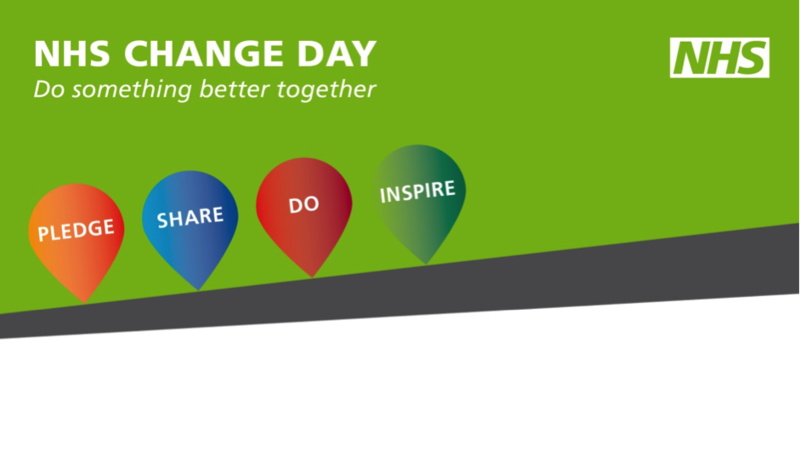 On Monday, 3 March NHS Change Day was celebrated. Hundreds of people in the NHS all over the country made pledges about something they would do to improve how they work. Or another way to put it is to make changes, however small, to benefit others. At the NHS Health & Care Innovation Expo 2014 in Manchester last week I was able to see many of the pledges which were displayed there, but more importantly the enthusiasm and commitment of the people attending. Many of the stands at the event displayed innovations using technology to integrate health and care information and to improve support for professionals and patients in many ways. It struck me that it was all about making better connections of information as well as ways to connect people too so they don’t feel isolated or alone if suffering ill health that restricts them. One patient who felt that professionals weren’t connecting with her as a human being was Dr Kate Granger – a doctor, and a terminally ill cancer patient. In September 2013 Kate blogged and tweeted challenging health professionals to remember to introduce themselves when seeing a patient. The #hellomynameis campaign took off and went viral in a very short space of time. Professionals across the NHS rose to the challenge to ensure that professionals demonstrated compassion by connecting with patients in this simple and human way. To hear more about the outcomes of this initiative I recommend you spend a few minutes watching this video. Small changes, connecting compassionately with patients and the people we work with can make a positive difference so do take a look at the pledges already made and see if you’d like to sign up for one or more of them or make your own. You’ve got until 31 March to do so here. I’ve joined two pledges for NHS Change day. The first is “I pledge to develop my wellbeing and emotional resilience and encourage those around me to do the same”, set by Dr Alys Cole-King. This pledge struck a chord with me as I know from experience how looking after your own wellbeing and resilience can often take a back seat when you’re striving to see some piece of work through or to help others. This is not ‘soft and fluffy stuff’, but, I’d suggest, a necessity to be a healthy human being and effective professional. For example, I know that I need to pay attention to getting enough sleep, as lack of stamina is a big issue for me due to chronic pain, and I’m wondering what you do to help yourself to maintain your wellbeing when the going gets tough? The second pledge I joined is “to make every contact count every day”, set by Debbie Holman from Greater Manchester West Mental Health NHS Foundation Trust. This pledge made me wonder – am I really aware of the potential impact I can have on the people I connect with, whether that is at home, work, volunteering, shopping or through social media? I’m reflecting on how positive an experience I make these. Who have you connected with today and how did that go?